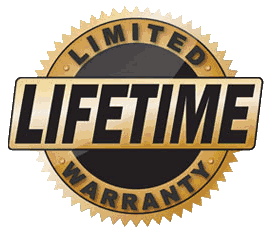 At Daytona Auto Mall Body Shop we provide a limited lifetime warranty on all metalwork, painting and mechanical repairs, and the parts we use all come with manufacturer warranties. If there is ever an issue with your repair, you’ll have the peace-of-mind of knowing you are covered by your warranty. You hope it never happens but then it does. You’re involved in a fender bender or an all-out crash or somebody backs into your vehicle in the parking lot. When your car, truck or SUV needs collision repair you need to bring it to the premiere body shop in Daytona Beach located here at the Daytona Auto Mall. We are a factory authorized auto body repair shop for Ford, Lincoln, Mercury, Dodge, Chrysler, Ram, Fiat, Mazda, Volkswagen and Nissan and, we are also a Certified Mercedes-Benz Collision Repair Center. All of our professional technicians are ICAR and ASE certified and they are equipped with state-of-the-art diagnostic equipment for accurate estimates and fast, reliable repairs. Nobody enjoys having to deal with collision repair and nobody really wants to go through the hassle of dealing with their insurance company. We understand that and we try to make the whole experience as convenient and short lived as possible. Because of our certifications and reputation for quality work the Daytona Auto Mall Body Shop has been designated as a “direct repair” facility for most of the major auto insurance companies. In fact many maintain a claims office on site. What this means for our customers is that the estimate process is expedited meaning we can start work sooner and have your vehicle back faster. But while your vehicle is in the shop you’ll probably need a rental to replace it. Fortunately most insurance policies include rental car coverage and to make the whole process more convenient we have an Enterprise Rent-a-Car office onsite that will put you in a rental quickly. Body shop work can be tricky for a consumer to evaluate. Sure you can see if the dents are fixed and if the paint matches but it’s those parts you can’t see and the installation of those parts that are tough to evaluate until they eventually fail. Our service is so popular it is not surprising the customers from Ormond Beach, Holly Hill and Port Orange bring their vehicles to our body shop for service. If your car currently has a ding that needs to be fixed, call us at 888-708-5430 or use the button below to schedule an appointment.